This page from Cloth Doll Workshop shows a great technique on how to make doll hair. I have lots of pretty yarn and it got my wheels turning on how I could use it to make hair, specifically wild plumes of fun on my plushies. Patti Medaris Culea, elinor peace bailey, and Barbara Willis are three of the leading doll artists and teachers in the country. They are also friends. Each of these artists has her own distinct approach to the design and development of a cloth figure. In this book, each artist's process comes alive through their choice of fabrics, sketches, simple patterns, and skill-building variations. The book is oriented toward beginning doll makers, but offers unique variations and embellishments to please even more experienced doll designers. Two introductory chapters cover basic materials and techniques. Each artist's chapter includes step by step illustrations, instructions, and patterns to make a complete doll, plus variations that create completely new figures. Readers are treated to full color photography and a look inside of each artist's workspace. A gallery of additional creations by each artist, along with commentary on each work completes the collection. This is a must-have book for any aspiring or experienced doll making. elinor peace bailey is a trained artist, and discovered stitchery as she was raising her family. She travels and teaches, has designed fabrics, and has worked as a creative consultant for several companies. She is the author of Mother Plays With Dolls, and The Rag Doll From Plain to Fancy. 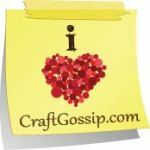 She has self published books, quilt patterns, craft projects, and dolls, which she sells online and through quilt shops. Patti Medaris Culea combines her love of silk and dyes by creating extraordinary fairies, mermaids and other one-of-a-kind dolls. She has a full-line of cloth doll patterns and her work has appeared in books, magazines and galleries. In demand as a teacher, she travels throughout the world. She is the author of four books on doll making, all by Quarry Books. Barbara Willis is a doll artist and teaches doll making in many parts of the United States, Australia, New Zealand, Canada, and England. Barbara's work has been widely published in magazines and her dolls have been included in special exhibits, galleries, and books. She resides in Northern California in the San Francisco Bay Area. She is the author of Cloth Doll Artistry (Quarry Books, 2009). Foam is fast becoming one of my favorite mediums to work with. Check out this great technique for melting and sculpting foam to make a mini doll basket from the book Creative Cloth Doll Collection: A Complete Guide to Creating Figures, Faces, Clothing, Accessories, and Embellishments. Click on this page from Creative Cloth Doll Collection: A Complete Guide to Creating Figures, Faces, Clothing, Accessories, and Embellishments to read the tutorial on how to melt foam, fabric and thread to make a cute decorative mini doll basket. I could see doing all sorts of things with this technique. Another cool foam melting technique is to make stamps with it. Here is the tutorial on how to make your own stamps with foam. This book is a compilation of the first four of Patti Medaris Culea's bestselling books: Creative Cloth Doll Making, Creative Cloth Doll Faces, Creative Cloth Doll Couture, and Creative Cloth Doll Beading. This comprehensive book guides you through all the basics of creating cloth figures, with step-by-step fully illustrated instruction. You'll find complete patterns to create several styles of dolls, many with interchangeable parts. The book also provides methods for creating beautiful faces, hair, garments, clothing, and supplies instruction in a wide variety of surface design techniques including dyeing, painting, stamping, beading, applique, hand and machine embroidery, image transfers, using Tyvek, and more. For further inspiration, there is a gallery of doll designs by leading doll artists, all made using the patterns from the book. I bring you a fabulous and unique idea from the 304 pages of the jam-packed-everything-you-need-to-make-fabulous-dolls book Creative Cloth Doll Collection: A Complete Guide to Creating Figures, Faces, Clothing, Accessories, and Embellishments. Want to win a copy of this book? Leave a comment or a link to your blog (see instructions at the bottom of the post) by midnight ET on Tuesday, March 29th, 2011 and you are in the running! Click on this page from Creative Cloth Doll Collection to enlarge and read about Maeve, a doll created by Rosie Francis and the unique material steel wool (Brillo) that she used to create a shrug and hair. This comprehensive book guides readers through all the basics of creating cloth figures, with step-by-step fully illustrated instruction. Readers get complete patterns to create several styles of dolls, many with interchangeable parts. The book provides methods for creating beautiful faces, hair, garments, clothing, and supplies instruction in a wide variety of surface design techniques including dyeing, painting, stamping, beading, applique, hand and machine embroidery, image transfers, using Tyvek, and more. There is also a gallery of doll designs by other leading doll artists, all made using the patterns from the book! To enter to win a copy of this book you can do 2 things! First, you can leave a comment in the comments section. Second, you can leave a link to your blog featuring your latest creativity. If you haven't used this feature before it is super easy and super cool!!! 1. Click on the red "Click to enter" below and fill in the clearly labeled boxes! 2. Copy and past the blog link in the first box, write a 25 character title, choose an image from the post (web), and you're done! 3. Soooo easy and we all get to see! Plus, you are entered to win a fun book too! This tutorial on how to make a yarn bead wrapped necklace is doll-size since it's from the book Creative Cloth Doll Collection: A Complete Guide to Creating Figures, Faces, Clothing, Accessories, and Embellishments, but who says you can't make a life-size one for yourself to match? Click on this page from Creative Cloth Doll Collection to enlarge and read the full tutorial on how to make a yarn wrapped bead necklace. This comprehensive book guides readers through all the basics of creating cloth figures, with step-by-step fully illustrated instruction. Readers get complete patterns to create several styles of dolls, many with interchangeable parts. The book provides methods for creating beautiful faces, hair, garments, clothing, and supplies instruction in a wide variety of surface design techniques including dyeing, painting, stamping, beading, applique, hand and machine embroidery, image transfers, using Tyvek, and more. For further inspiration, the book also includes a gallery of doll designs by other leading doll artists, all made using the patterns from the book. If you like to sew dolls, the new book Cloth Doll Workshop: From the Beginning and Beyond with Doll Masters elinor peace bailey, Patti Medaris Culea, and Barbara Willis is for you! These mini masterpieces of fashion and personality are so packed full of great details. The little boots that this doll by elinor peace bailey is wearing are just adorable! It really is quite a simple technique but I would never have thought of it. I bet the same construction technique would work for sewing shoes, boots or socks of any size! Here is the pattern for the cute doll boots.